Looking for a workout that will fit your schedule, won’t break the bank and isn’t intimidating? 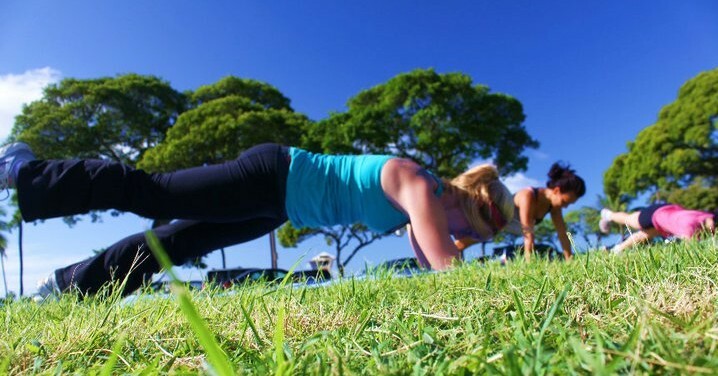 Women’s Fitness Boot Camp Honolulu is for you! Get your workout finished before most people even have their coffee in my women-only Honolulu boot camp. These sessions are for women of all ages and abilities, with workouts structured so no one will be asked to do more than she is able to do safely nor will anyone be unchallenged! Each 4 week program combines resistance training, cardio, plyometrics, and Pilates based stretching to deliver dramatic fat loss, gains in strength, increased endurance, flexibly, energy, and confidence. Every day is a different workout, so you won’t get bored and your progress won’t plateau. To reserve your spot, click on the Boot Camp Package below (or on the date for your desired session). You can enroll with your credit card by selecting the Boot Camp Package in the box below or contact me about enrolling with a check.